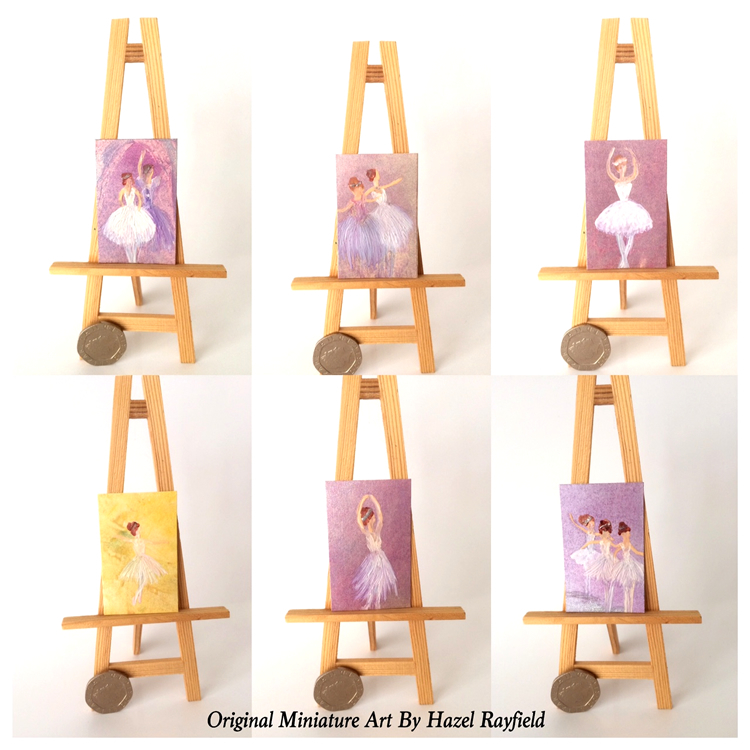 These are my latest miniature paintings, I painted six tiny ballerina pictures each just 1 1/4 x 2 inches. 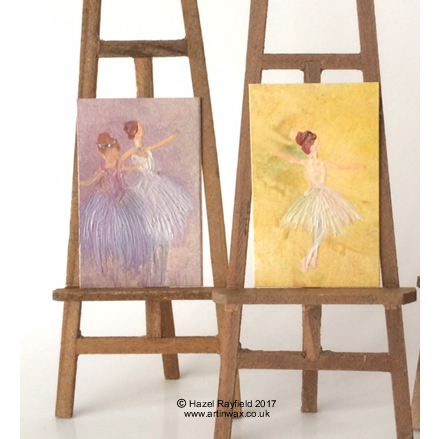 And within minuets of showing these pretty little dancers on facebook today they were bought by a dolls house collector in New York and these little painting will be flying off to their new home today …. Painted in my Encaustic hot wax paints on semi sheen painting card. The backgrounds I painted using a mix of silver and coloured wax paints to give a lovely soft back drop to the dancers and it also adds a has a lovely sheen to the pieces. It is easy to commission a piece of Art In Wax – I only paint in my style as all my work is original so mo copies or reproductions, but if you see a piece of my work that is sold and you would like something similar …….. Simply contact me via my online form, with brief details of your proposed commission, subject, paintings size etc and we can communicate via email to discuss creating a unique piece of art for you. Commissions can be a single piece or a set of two or more paintings. Price is dependant on your requirements and will be quoted together with payment terms before the commission is started.